Several baby towhees fledged about 10 days ago. I haven't seen the nest although it must have been somewhere well-hidden in the back garden since they always retreat there. Sorry about the poor quality of the above photo - I took it through the window. The baby's feathers are so fluffed out, it almost looks bigger than the parents! The goldfinches are here now and some will stay to breed. They use thistle down to line their nests (their mating season coincides with its blooming) so if you want to encourage them to make a nest close by, be sure to leave some thistle plants in your yard or garden. One less thing to weed! These guys often hang upside down to feed. And they eat caterpillars too! That's all for today. I hope you're enjoying the abundance of birds around now! The Sapsucker Woods team from the Cornell Lab have created a FREE 5-video YouTube series on bird identification skills. 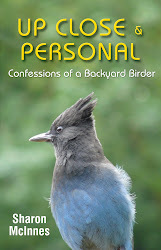 It's called Inside Birding and it's GREAT! It covers the 4 key elements of bird identification: Shape & Size, Behaviour, Colour Pattern, and Habitat. There's also a final video specifically about warblers. I'm sure all but the most experienced birders (and ornithologists) will learn something. If not, you'll at least get to see a lot of different birds up close & personal! Earlier tonight I was pulling weeds when I first heard the song - an unfamiliar but very distinctive three-note tune coming from high up in the trees behind our house. Needless to say, all weeding stopped. I scanned the trees with my binoculars - no luck. The song kept playing intermittently, fuelling my curiosity - which was quickly becoming a minor obsession. At one point I thought I saw a bird WAY UP in a distant tree but it was too far away to even know for sure that it was a bird, so I went in and got my scope. With that I could see the outline of the bird but it was too far away to make out the colouring or shape. But I noticed that it behaved like the flycatchers I had watched in Mexico, sallying out from the top of a tree to catch flying insects and returning to the same perch. Could it be a flycatcher? 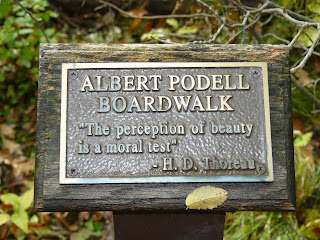 Here, on Gabriola? 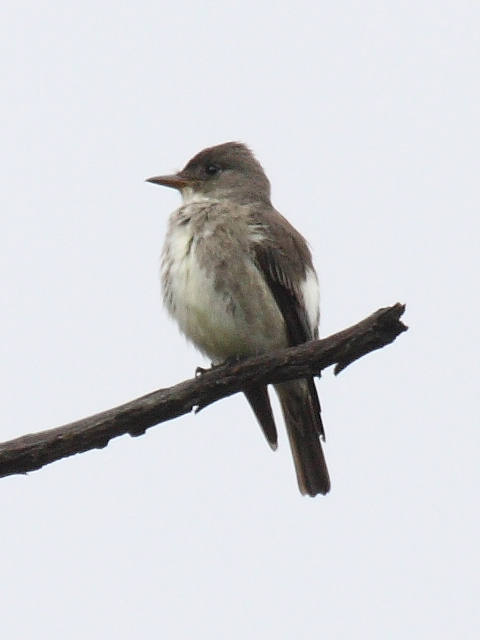 At Cornell's All About Birds site I discovered that the olive-sided flycatcher, which comes to BC from South America to breed in the summer, is rated Near-Threatened by the IUCN. If you live on the north end of the island, I hope that this post will save you the angst of trying to identify the unusual birdsong coming from the forest. Of course, it's possible there are olive-sided flycatchers on the south end too - has anyone heard or seen one? ?